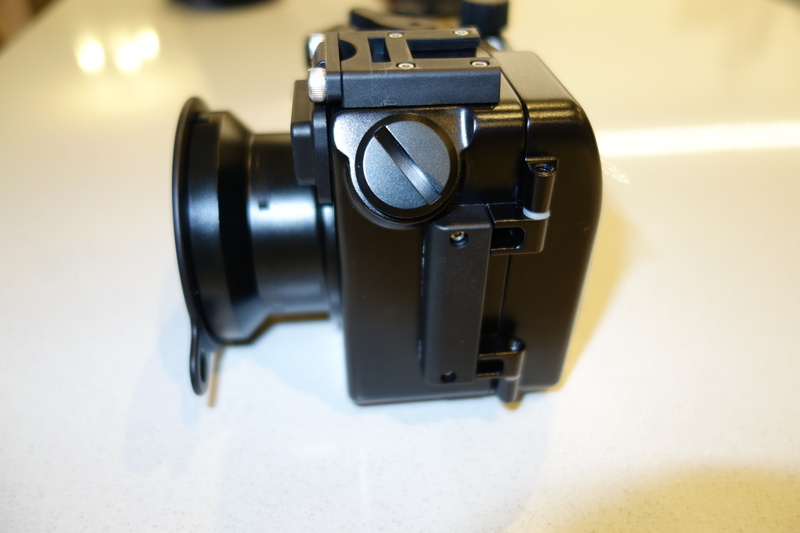 This housing is essentially identically to the already very successful NA-RX100 more specifically it looks identically to the NA-RX100V video version. 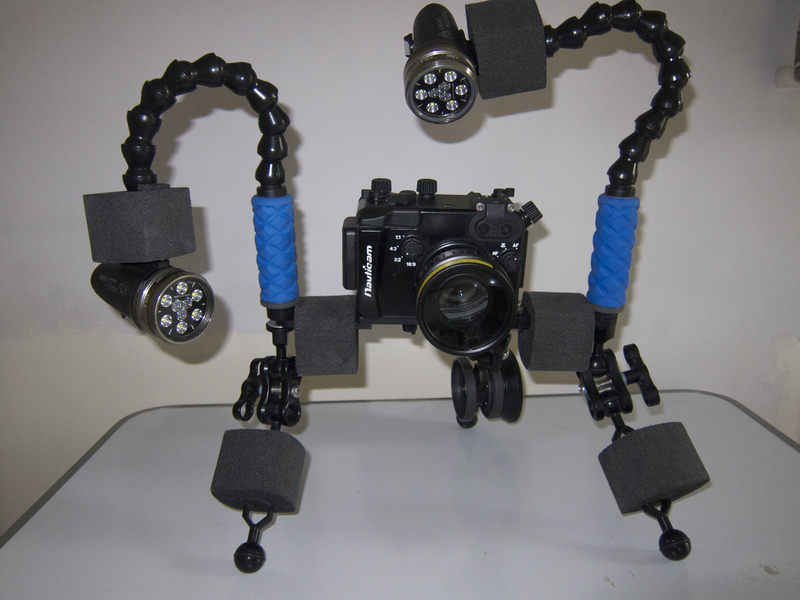 According to Nauticam you can attach both the SmallHD 4.3 LCD monitor to use as external monitoring for video or an electrical sync cord to attach a strobe via a hot shoe 5 pin connector. This will not support TTL but will allow to fire an external strobe without triggering the internal flash. This means that there will not be any issue of recycle time especially true at wide angle or when using strobe with edge lighting. Now I believe this is great news for those underwater photographer that are downgrading from DSLR as this was probably one of the key limitation of the RX100 that will now be overcome. Remember that the RX100II seems to have other significant improvements with respect to the Mark I in terms of corner sharpness that can make this already excellent camera an absolute killer. 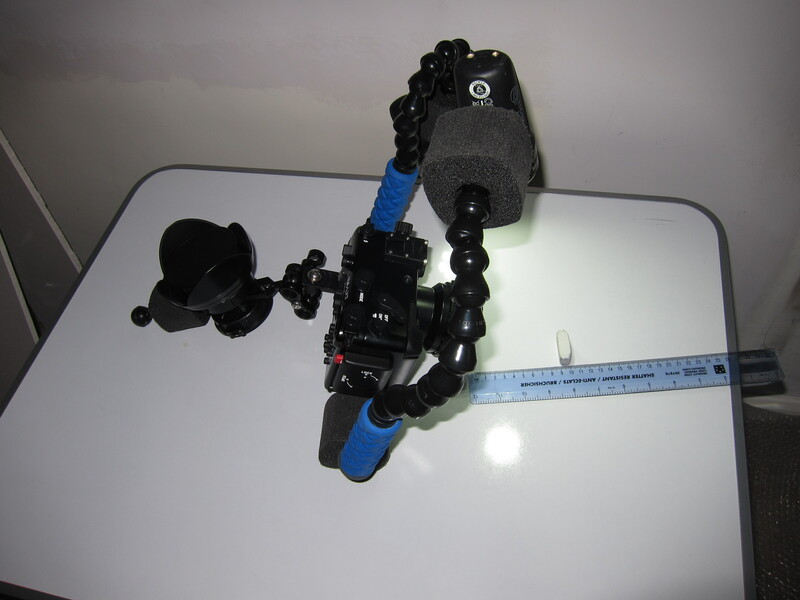 I wonder if it is possible to enable and disable the hot shoe and use both electrical and optical connectors as in macro TTL the camera performs very well indeed and this would only be available with optical connections. The housing is priced at £699 in UK as it was with the Mark I so should be $950 in US. Great value for the additional bulk head port! I thought of doing a debrief of the settings I use as I see few people that have bought this camera and have few niggles to go through and the obvious learning curve of new equipment so here we go. It is always possible to reduce detail if needed so always shoot in the highest mode AVCHD progressive that in the menu is called PSH this records at 28 Mbps. The LX7 has a one touch video mode that is accessible in still mode. 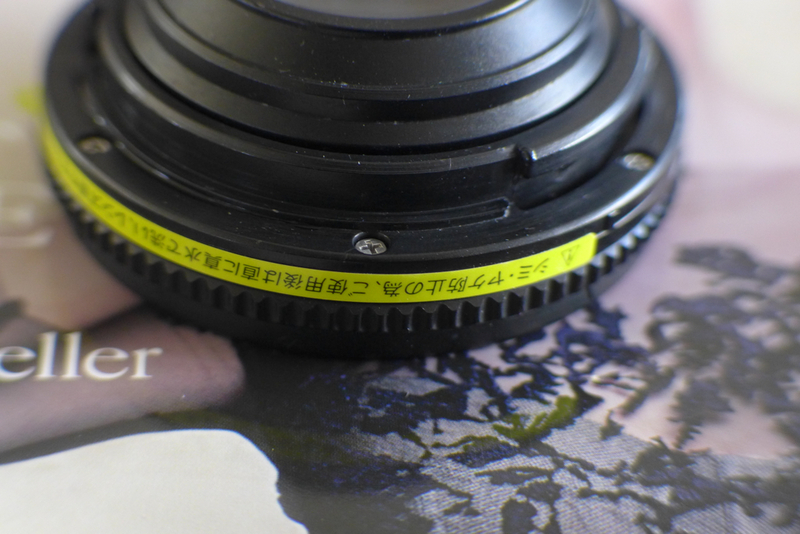 When you press this button, even if the camera is in Aperture or Shutter priority and even in Manual, the movie clip is recorded in Program mode. It follows that the mode to use to have full control is the creative video mode accessible through the mode dial. I use the Shutter priority setting submenu in this mode. 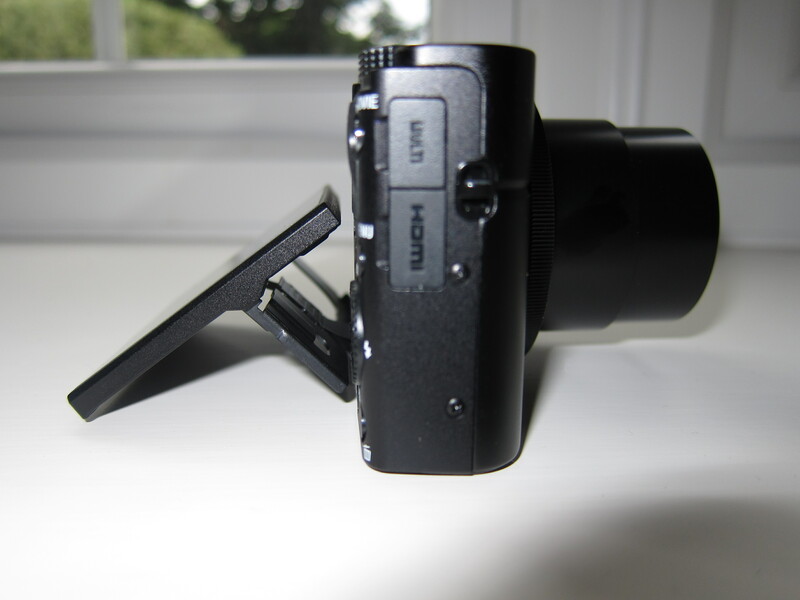 This is because the LX7 does not follow the 180 degrees shutter rule in video program mode. Set your shutter speed to 1/100 for PAL and 1/125 for NTSC so that your shutter speed is double of the frame rate (1/50 for PAL and 1/60 for NTSC). I never use the manual or the aperture priority mode as I find the lens fairly sharp even in macro and very small subjects. 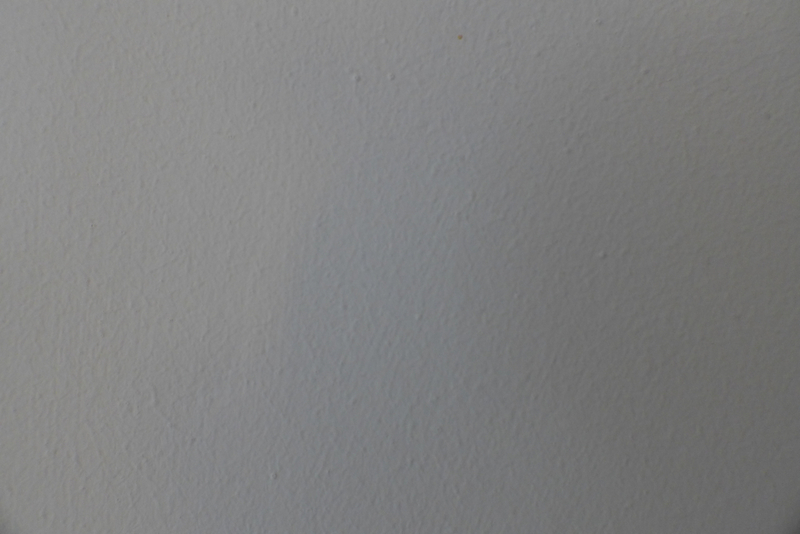 When I have changing light I point the camera to the exposure I want and the click Exposure Lock. To disable focus lock you need to go into the menu and set the button to AE lock only. 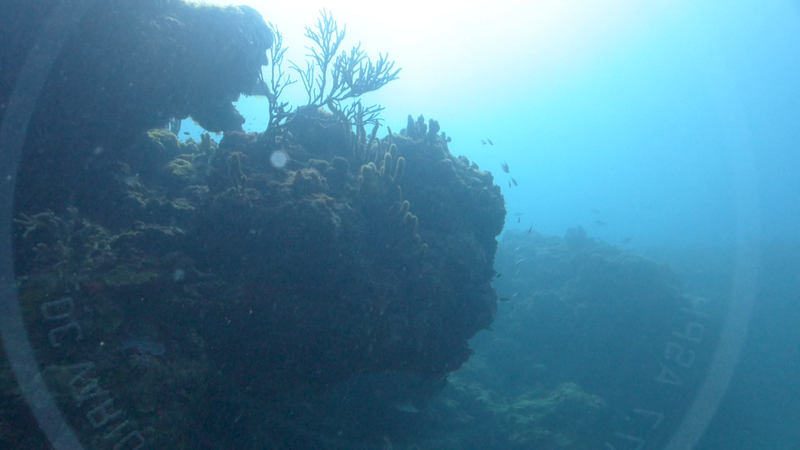 I personally find the standard exposure of the LX7 underwater far too bright. 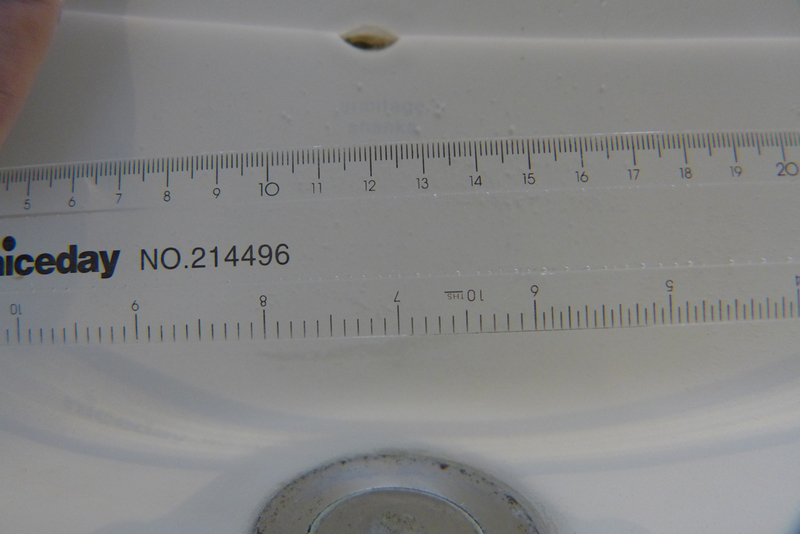 So using the exposure compensation dial found by pressing the shutter speed wheel I dial down to -2/3. This is personal sometimes I even go down to -1. The LX7 has a very bright lens even at telephoto end and this lens produces also a very sharp image. In the worst case of deep water with low light I found that having an underexposed but cleaner picture at ISO400 is better than letting the camera go all the way to high ISO. So in the menu I set ISO MAX to 400 or in some cases I push this down to 800. I set the ISO to Auto as the camera generally keeps it very low anyway. 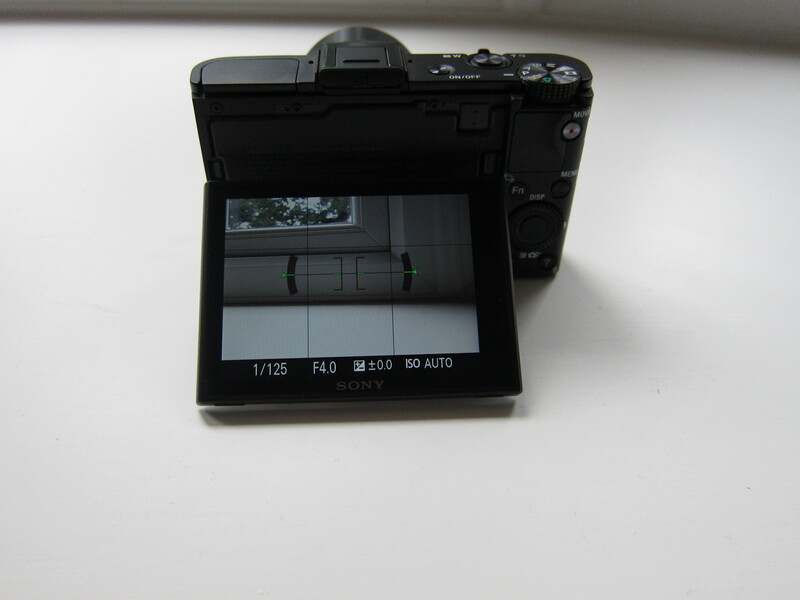 I leave autofocus for video mode to on and I ensure that the autofocus is set to single area. 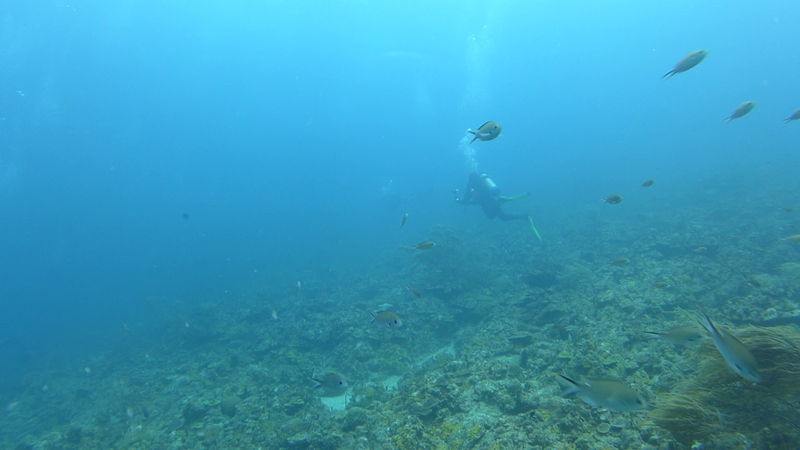 Be careful as the default setting is face detection and that does not work well underwater! Multi area and tracking are not available in video mode. In video you can extend the 90mm lens to 180 with the iZoom and to 360mm with digital zoom. 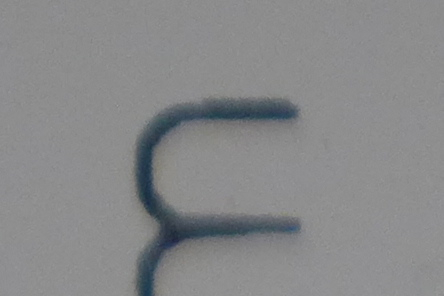 I set iZoom to on and Digital zoom to off as I have seen that the iZoom is very useful in macro and the picture quality is not visibly affected. 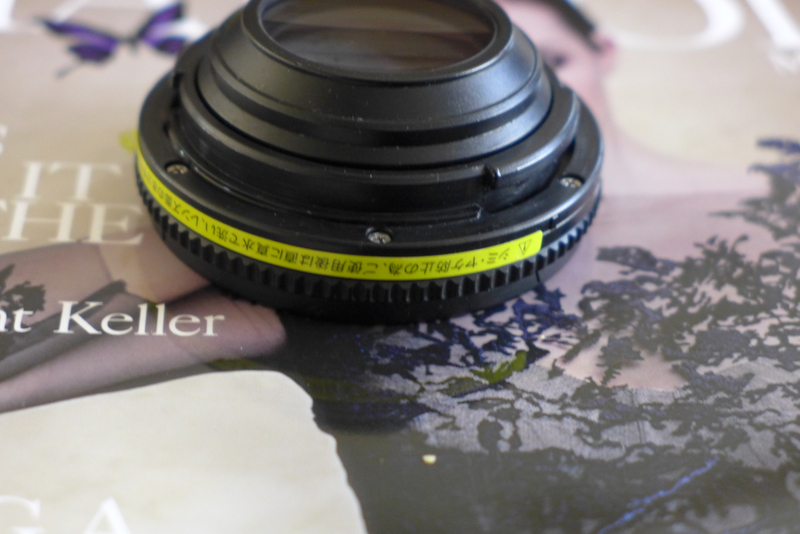 I use multi metering for landscapes and centred weighted for close ups and macro. This is a tricky setting; generally I keep it off or on Low as the standard settings clip the highlights. In doubt turn it off. This setting controls contrast, sharpness, saturation and noise reduction. I use the standard setting that is a little bit oversaturated. If you do a lot of colour corrections in post processing use the Natural setting. The footage will be less saturated and a bit less sharp with less noise reduction. I use two custom settings WB1 and WB2 one for shooting with ambient light and the other one with lights that I only use in special circumstances. I leave this on and it does not affect the field of view. Zoom resume has to be left off as this delays the camera ready to shoot time and ends up with missed opportunities. It is useful to leave this on. I record all my settings for shooting in ambient light in the C1 mode this has all the settings are describes and recalls the Custom White Balance 1. I then set another menu C2-1 with auto white balance for shooting with lights and menu C2-2 for shooting with lights and WB2. This is an example video shot with those settings and no additional lenses this is with video lights and auto white balance little to no correction in post processing. 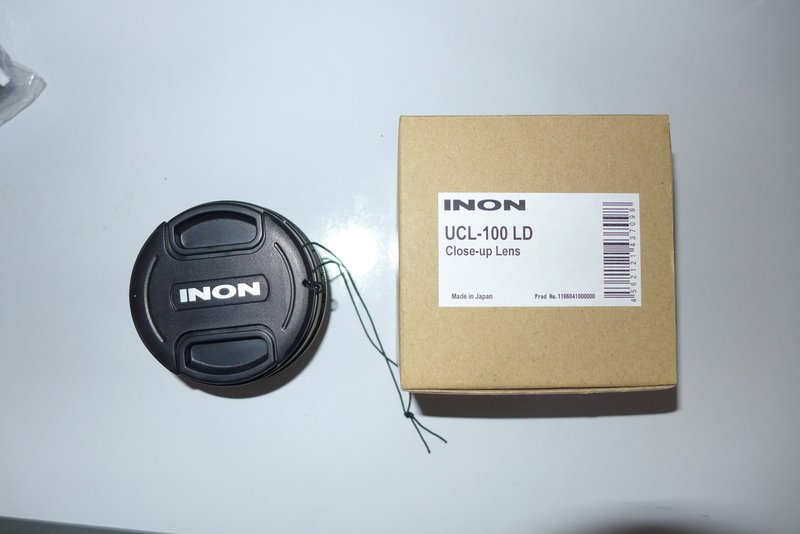 Inon introduced a new close up lens in February of this year the UCL100. So why did Inon come up with this after the very successful UCL165 series? Probably some pressure from products like Subsee that produce better quality images than the Inon lenses and more and more lenses with similar performance to the existing Inon lenses. So what is different about the UCL100? 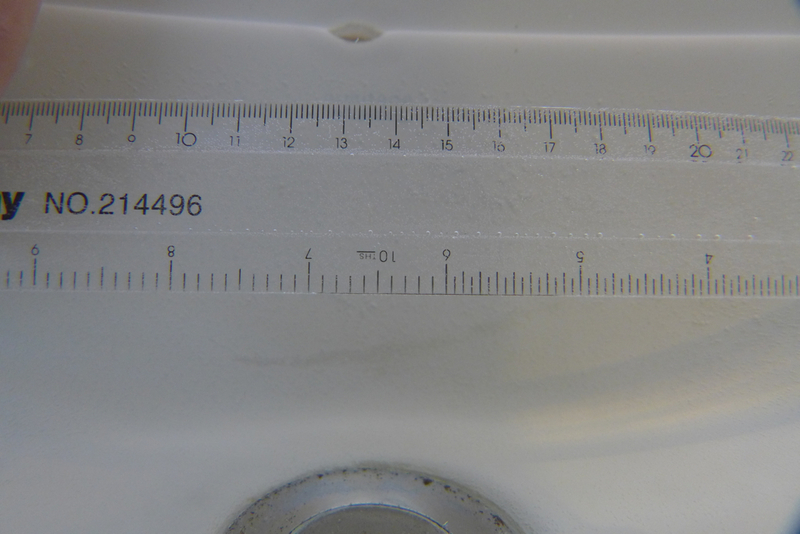 First of all this lens is heavy 243/269 grams in the LD/M67 version in air that become 130/151 grams in water double than the UCL165. The lens is made of 3 elements instead of two and is very similar to a Subsee this is more evident taking a look at the lens on land. This shot is taken with the bare port at 50mm. 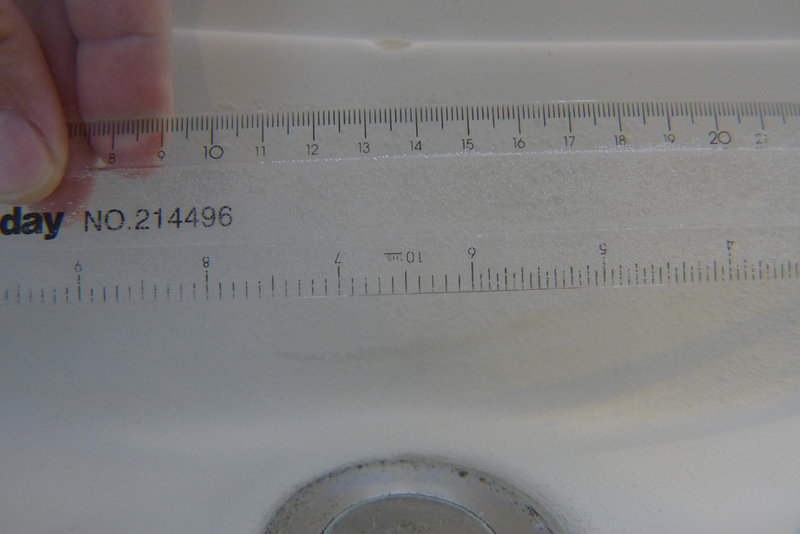 This is the same shot at the same working distance using the UCL100 note the magnification. The lens behaves like a magnifying glass exactly as the Subsee, Inon has made some effort to try to reduce vignetting, this picture is taken on land at 28mm. Note a little dark bottom right corner, the lens in fact vignettes at 24mm this is due to the huge size of the LX7 lens and may not happen with other cameras. 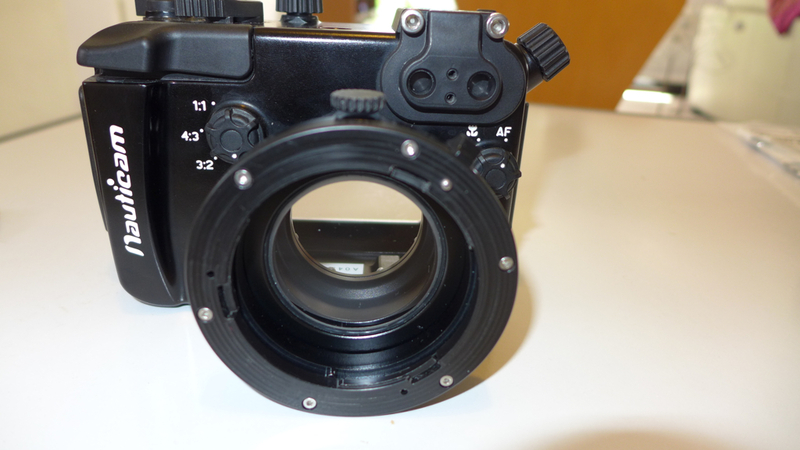 Here we can see the rear of the lens from the Fix adapter side. 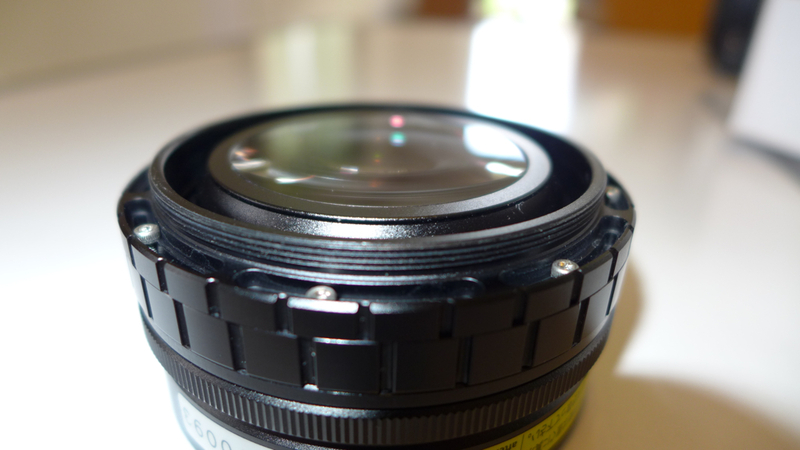 The lens sits very close to the glass port. 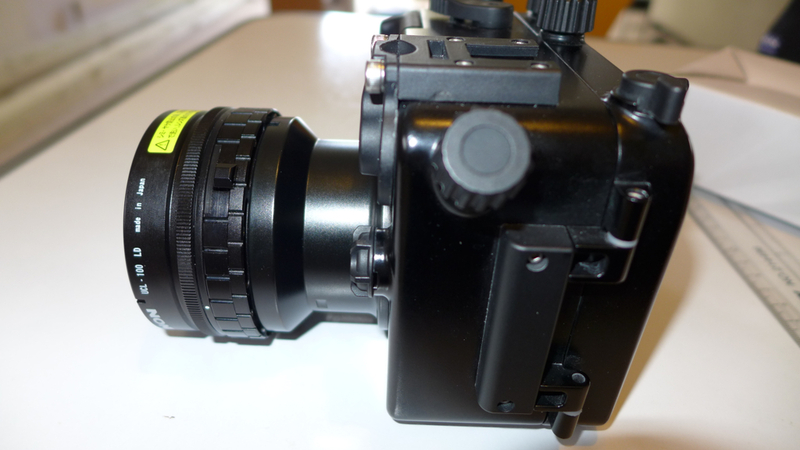 I have opted for a bayonet version of this lens as I will use the fix as m67 adapter if I had to dive with the wet mate. If you are a photographer I would definitely recommend the LD bayonet version over the M67 as it is easier to remove and attach in water. 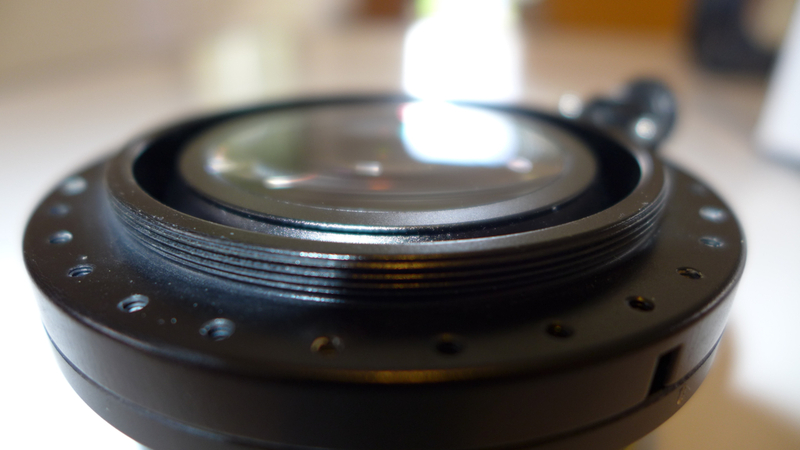 There are some other very interesting characteristics of this lens. Usually a diopter works only around a certain working distance for a given zoom so the issue with such a powerful close up lens is that if we are far away from the working distance the lens is not usable. The UCL100 instead is quite flexible and has a huge swing of working distances for a given focal length as in the table below. All values are in mm. So the lens keeps working well far away the nominal 100mm and due to the construction also gives a magnifying effect this means that it is possible to take this lens in water as the only close up lens and there will not be too much of a limitation if for some reason we can’t get that close to the subject. A swing of 40mm at telephoto end is excellent and this becomes 70mm at 70mm zoom and 110 at 50mm. 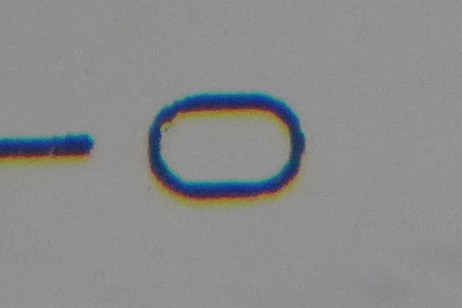 You can see the yellow and purple halo around the zero. 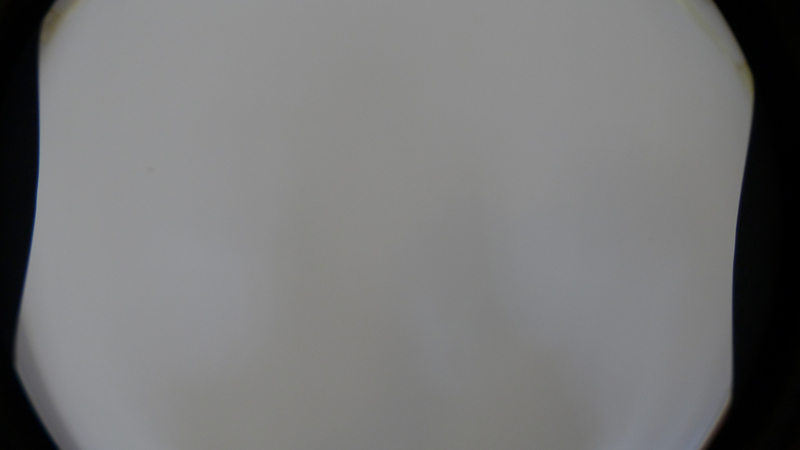 The image is a bit soft because of the aperture used but absolutely free of any fringing that is astounding for this level of magnification, the quality of the image is same as Subsee. 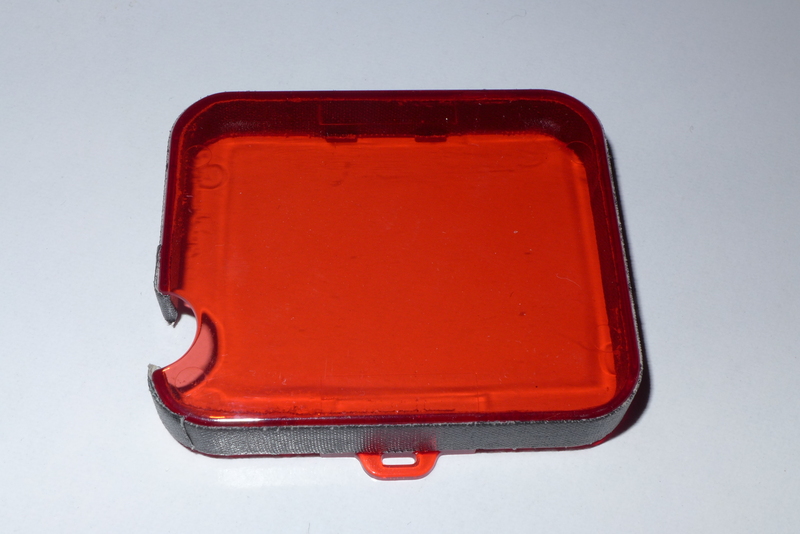 This lens comes with a lens front and back cover, the front lens is a clip with lanyard. The UCL100 can also be stacked with other M67 lenses if you need more!!! With the LX7 the UCL100 achieves a reproduction ratio of 1.1:1 compared to the 1.4:1 of an Inon UCL165. The limitation of the zoom of the LX7 shows a bit here as even the Sony RX100 gets nearly a 1:1 with this lens but the strength of the focus of the LX7 are second to no other camera in this segment so I look forward to using this lens on some really small stuff. The UCL100 is priced at $282 in US and £275 in UK versus $225/£210 of Subsee so why would you bother getting this lens from Inon instead? I think the main selling point of this lens in addition to the image quality and magnification power is the fact that the lens operates until wide end and has a very wide range of working distances so you are not stuck just around the 100mm nominal focal lenght. This allows use of the full zoom from wide to tele that in video is especially important. For pictures I am not so sure the additional cost is justified as stills are usually at full telephoto end. You can see in the section of the Veronica L that missing those extra degrees field of view did not allow me to take the full wreck by side even if it was not that big. On couple of reef dives I already had the Inon on the previous wreck dive so I left it you can compare performance of the two lenses in terms of sharpness and flare. Generally I feel the wet mate has less flare and is sharper however it does have an issue of reflections as covered in the previous post. As always I have used iMovie to edit the AVCHD progressive files that I converted to normal mp4 using the workflow in a previous post. There are no dramatic alterations of colour or exposure and no stabilization has been run in any part of the video (in some parts like the snake eel moving it shows) all was done with custom white balance using the camera functionality, considering how deep were some of the wrecks this is very good I believe. So I finally had the opportunity to take the LX7 on a trip after some pool tests. After my attempts last year with the Sony RX100 I was a bit skeptical that I could actually find something better for video but I think the LX7 beats it. 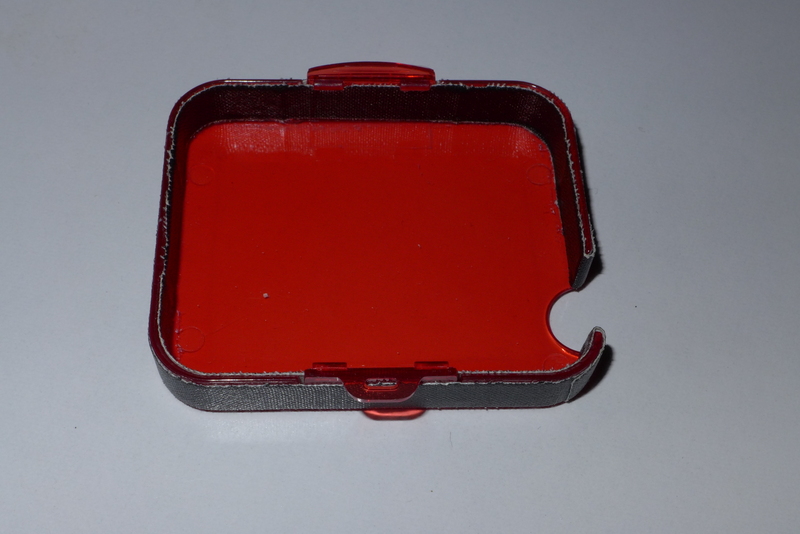 Ultralight TR-DM tray with extension TR-DUP and two TR-DH handles without ball. 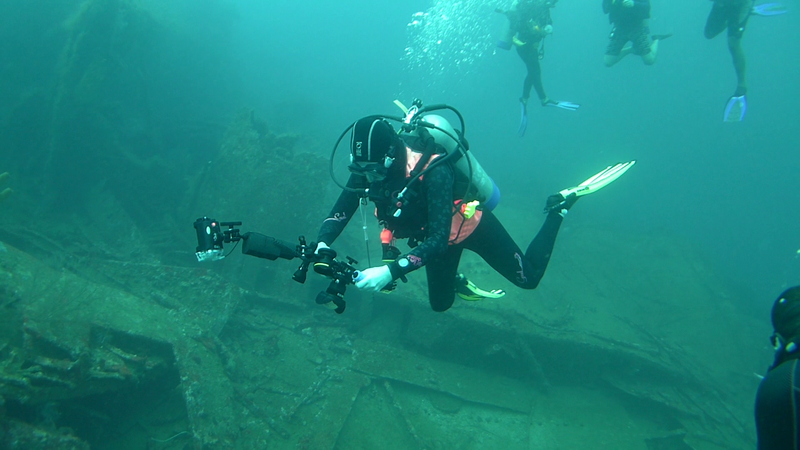 In a previous post I highlighted that for most the wet mate will be the only lens needed however I had some wreck dives and the 18mm of the Inon wide angle are more appropriate. I also gave a try to the panasonic intelligent zoom that allows for 2x digital magnification and sharpening that for me works very well and you can see it in the footage. 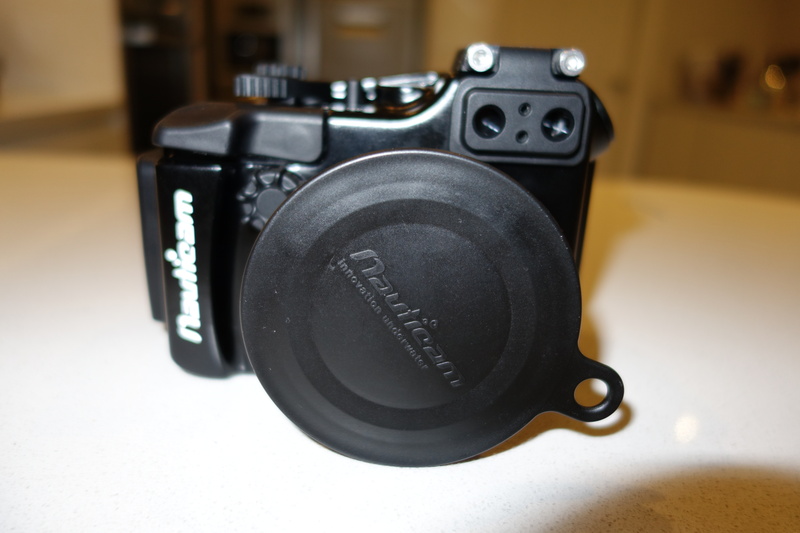 This allows a user with just the wet mate to further zoom without need of a close up lens or a use with a single +6 diopter to achieve super macro. 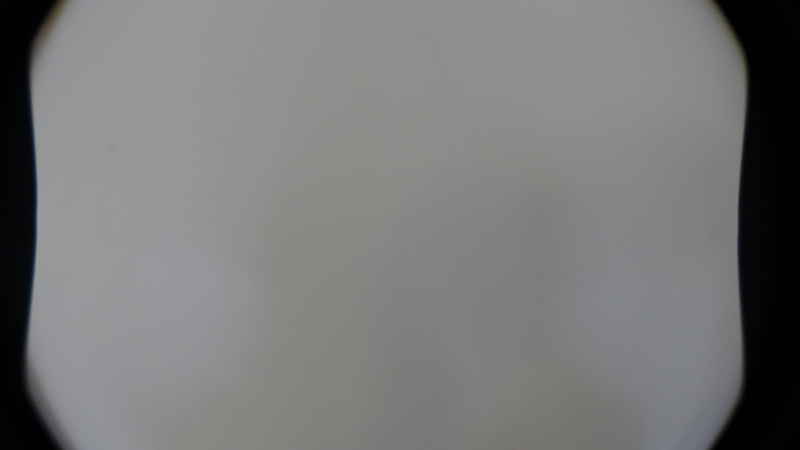 I found the white balance of the camera excellent on both my hand or sand. I had issues with my padi slate that many times returned a ‘scene too bright’ error. Maybe this is the reason why backscatter failed this camera for video?? Who knows. You can see that even at 36 meters the colour are as good as they can be. For macro shots I used the temperature setting at 6500K, I found the white balance tint fine tuning to be excellent to further enhance it. I shot in shutter priority the whole time with shutter speed of 1/100 or 1/50 depending on conditions and type of shot. The camera autoISO and choice of aperture privilege noise reduction however as the lens of the LX7 is really sharp the relatively wide aperture did not mean soft corners. I tried the various photo styles and at the end settled for the standard one, I found the natural really to have too little contrast. I thought of shooting in mp4 for wide and AVCHD progressive for close up but this would have meant two different frame rates to edit, at the end I shot at the highest available setting to avoid confusion. 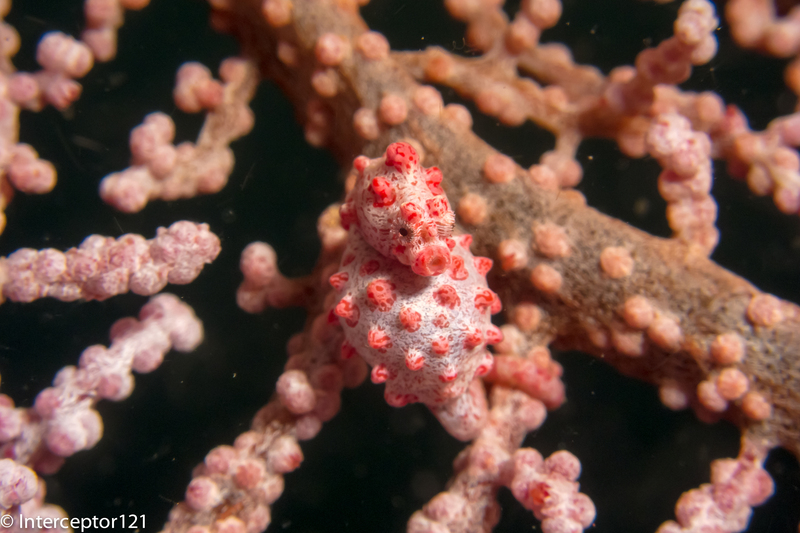 I had received a new port from nauticam so I had no vignette at 28mm and the full 100 degrees the inon lens can offer. The ergonomics of the camera that have fixed commands for aperture and shutter proved to be convenient and the built in neutral density filter was very effective at shallow depth or on the surface. In essence I think that the issues backscatter mention are non existent. I did have a few problems with the wet lenses though. The wet mate proved to be a great little tool very sharp and light however none of the sides of the glass have anti reflective coating. In bright scenes or backlit scenes I did not have many issues with flare however I could see the marking on the lens reflected back on the wet mate and in the picture. I suggest putting an inon anti ghost sticker or gaffer tape to hide those shining markers or to colour them with permanent black ink. 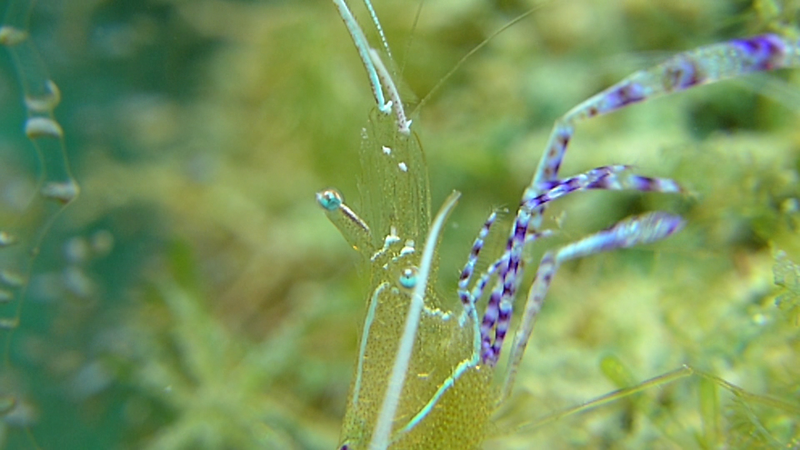 Other than this the wet mate performs very well in all reef scenes and close up of critter a few inches big. The inon diopter did not cause any trouble other than the obvious vignetting until 70mm. One pleasant surprise is the LX7 autofocus. Having struggled with the poor focus of the RX100 at high magnification I was astonished that the LX7 finds focus even with two stacked diopters and keeps it!!! 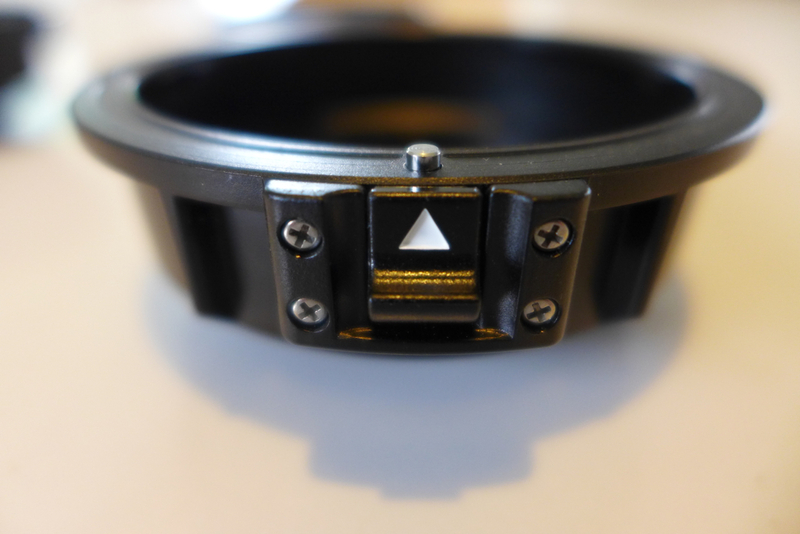 I never had to use manual focus that with the RX100 was the norm at macro range. I had bought the UCL165 and UCL330 in m67 format but decided to sell them as I will actually switch to bayonet very soon for the wide angle. The Inon UWL-H100 was probably the most disappointing find of the trip. Image was sharp in normal condition however this lens tends to flare quite a bit and this creates block noise in the water column in video, when I used my hand to shade the lens the flare went away. 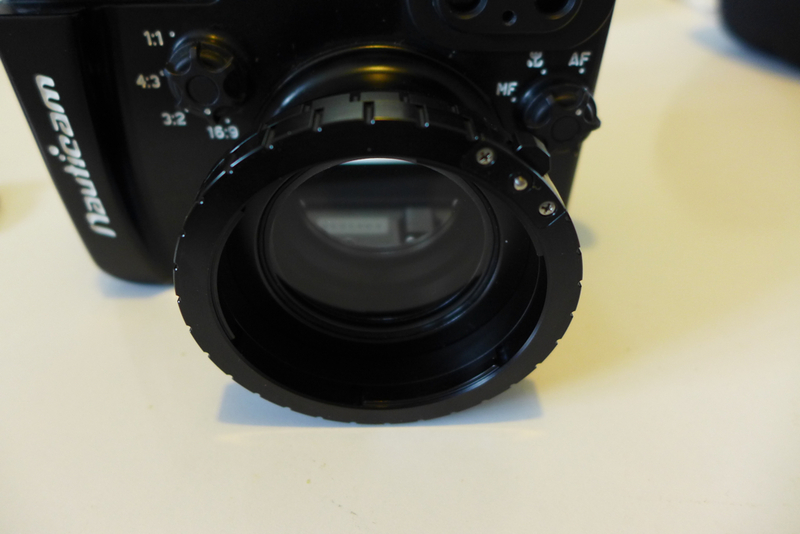 Inon sells a lens hood for the 28LD version of this lens but not for the M67 as there would be issues to align the hood petals to the frame. Considering that the lens is very heavy in water at 350 grams and that screwing and unscrewing was a concern mid water I have decided to convert the lens into an LD bayonet. 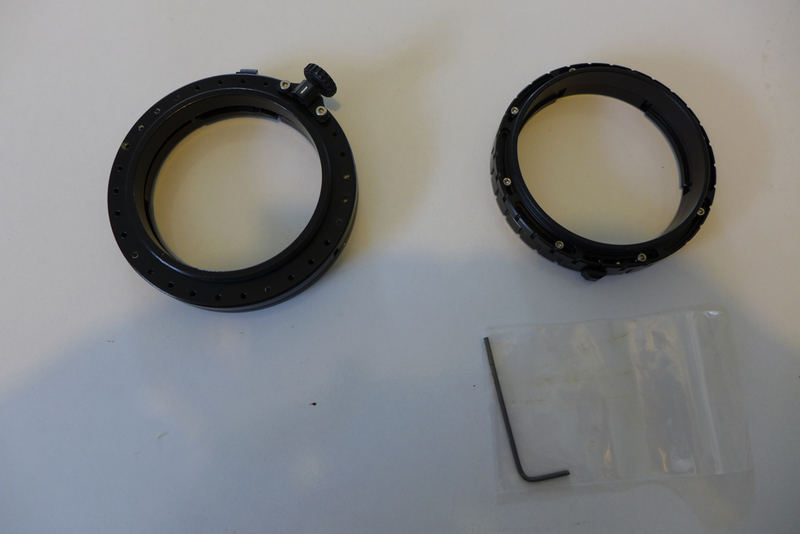 Inon sells a replacement service part for the 28LD that can be used to replace the M67 thread of the lens. 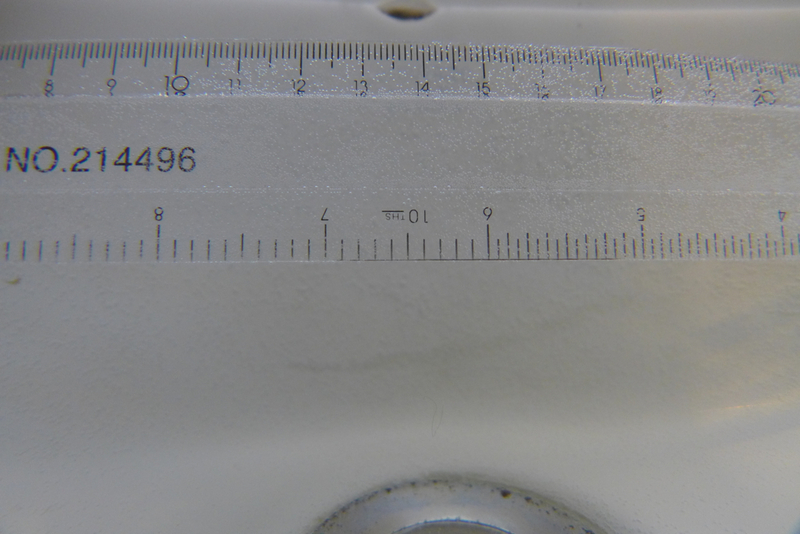 Other than this part the two lenses M67 and 28LD are identical. 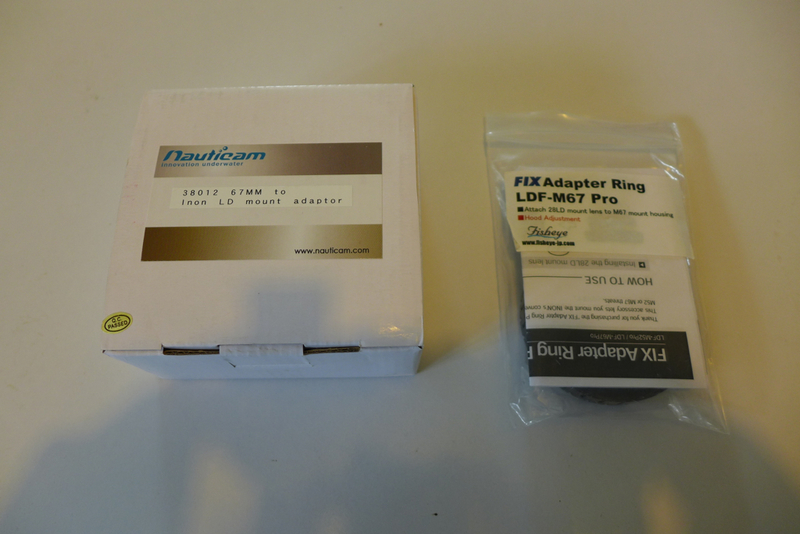 I will use a nauticam m67 LD adapter I hope this will not increase the vignette. I will connect my AD mount close up with a AD->LD converter when using the wide angle and then use an AD->M67 converter when I use the wetmate. This saves me buying two different diopters and I can stack the two UCL165AD I already have. They do vignette a lot at medium but who cares when you shoot at full zoom. I look forward to testing the UWL-H100 with the lens hood I am sure results will be better. On the other hand when the sunlight is behind the shots have incredible sharpness with this lens.